Two slides here of the Malays. Ibans, Chinese and Malays made up the bulk of the population of Sarawak. 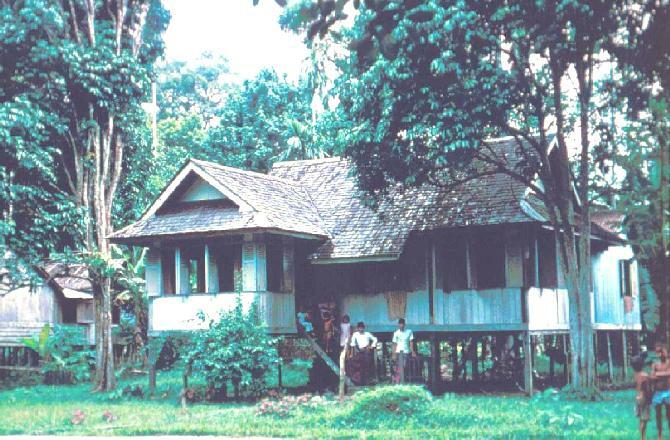 The Malays lived in individual houses. (So did the Chinese who were not shopkeepers.) It is built above the ground partly to keep it cool, partly to keep it safe when (not if, when) the river floods, and partly to keep crawly things from coming in.